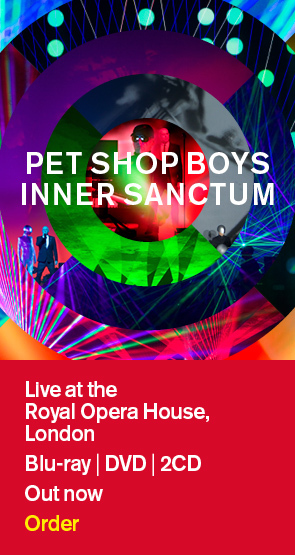 Pet Shop Boys are delighted to announce that Sophie Ellis-Bextor will be joining them as special guest on their final run of UK dates, which will conclude their hugely successful worldwide Pandemonium Tour. Sophie Ellis-Bextor emerged ten years ago when she collaborated with DJ Spiller to produce the smash hit #1 single ‘Groovejet (If This Ain’t Love). Now she is back with album number four ‘Straight to The Heart’ due to be released on 2nd August 2010 on which she worked with an amazing team of writer/producers that includes Freemasons, Greg Kurstin, Calvin Harris, Cathy Dennis, Metronomy, Richard X and Armin Van Buuren. The Pandemonium show was designed by Es Devlin (who worked on their stunning performance at the BRITs in 2009) with choreography by Lynne Page. At the end of last year The Times called it “the ravishing pop spectacle of the year”. These dates are your last chance to experience it in UK arenas. TUESDAY, JULY 13:	BLACKPOOL EMPRESS BALLROOM MONDAY, JULY 19:	BRIGHTON CENTRE TUESDAY, JULY 20:	BOURNEMOUTH INTERNATIONAL CENTRE WEDNESDAY, JULY 21:	CARDIFF INTERNATIONAL ARENA FRIDAY, JULY 23:	NEWCASTLE ARENA Tickets are on sale now priced at £30 (subject to booking fee) and are available from the link below.